Fly this handmade flag from your home, office, bach, backyard or pin it up in your home! Fly ends are quadruple-stitched for added reinforcement. 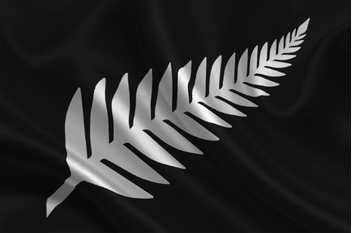 These Silver Fern Flags are made from a strong synthetic fibre which dyes beautifully to give crisp, clear graphics and vibrant colours. this outdoor flag has a silk-like sheen and is beautiful enough to be displayed indoors, flags come fitted with sister clips. You can pay $100 for a flag of this quality, buy here and you will pay only $49! 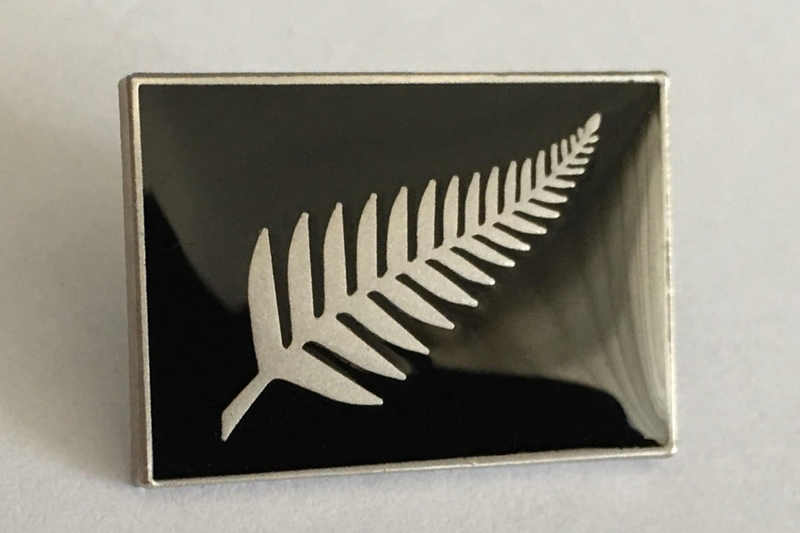 Our beautiful silver fern on black has been made into a high quality lapel pin which you can wear on your jacket or hat with pride. or give as gifts. Official Preferred Alternative New Zealand Flag. ​Ideal for taking along to sports matches, wearing out in the street, or for those who simply don’t want to be mistaken as Aussies abroad! Heavy blend adult full zip hooded sweatshirt approx. 220g, 50/50 cotton/polyester fleece. Air jet spun yarn creates a softer feel without pilling. Pouch pockets and set-in sleeves.